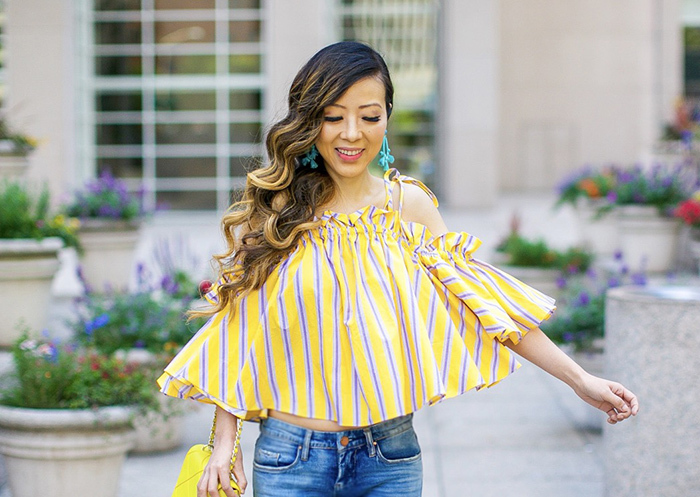 Let my super fun candy cold shoulder top brightens up your Monday, babes! This top is seriously so fun and pretty. I'm so in love with it. It makes me want to dance, twirl, swing and so happy, haha. I debated for so long in between choosing the top in yellow and blue. Both colors are pretty in my opinion and it's less than $100.